Mersing is a town located in the state of Johor, Malaysia. 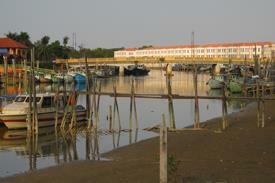 It was made famous for being the gateway for visitors to catch a ferry and go to Tioman Island. Although, despite the fact that Tioman Island is geographically closer to Johor, the island is administratively part of the Pahang state. 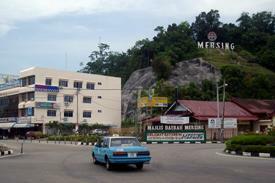 Apart from that, Mersing is also known for its originality in terms of coffee. There is a large number of traditional coffee shops that can be found around Mersing, which helps the place boost its popularity by offering a unique and quality taste of coffee. One of the easiest and most convenient ways to travel here is by taking a bus to Mersing through a number of bus operators, connecting this small town to other places like Kuala Lumpur, Malacca and even Singapore. Some of the operators that provides bus to Mersing includes Transnasional, S&S International Express, Causeway Link Express, Cepat Express, Utama Express and more. However, there are only three Singapore buses to Mersing for the time being. Additionally, the Old Mersing Bus Terminal is a mere 10-minute walk from the jetty that allows access to Tioman Island, whereas the new Mersing Bus Terminal takes only 2 minutes to walk to the jetty. Currently, most express bus to Mersing will pick-up and drop off passengers at the New Mersing Bus Terminal, which is located at Jalan Abu Bakar. As an added advantage, the bus terminal is just about 1 to 2 minute walk from the jetty that brings passengers to Tioman Island by ferry. Tioman Island (reach by ferry), Air Papan beach (15km from Mersing town), Penyabung beach (30km from Mersing town), Mersing Mosque, Hindu Temple. Book your tickets for a bus to Mersing today!